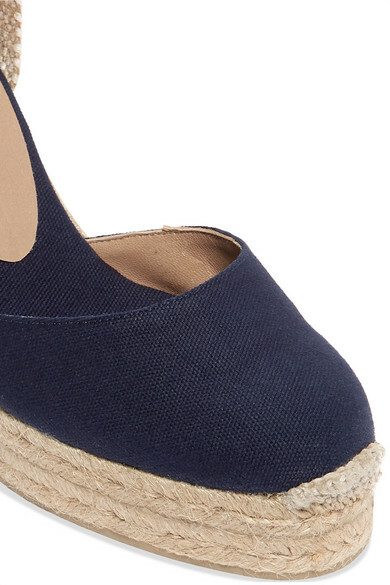 Castañer's signature espadrilles are beloved for their flattering silhouette by everyone from the Duchess of Sussex to Chiara Ferragni. 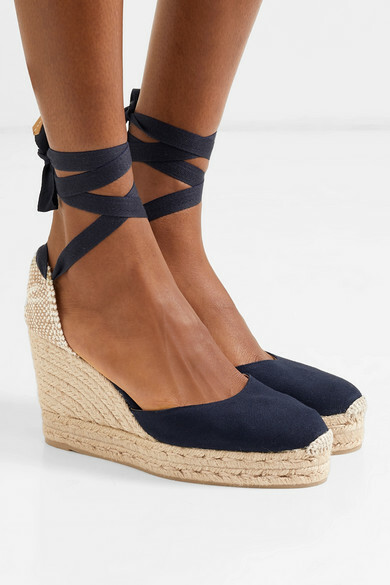 Made from navy canvas with matching ankle ties, this 'Carina' pair has a nautical feel. 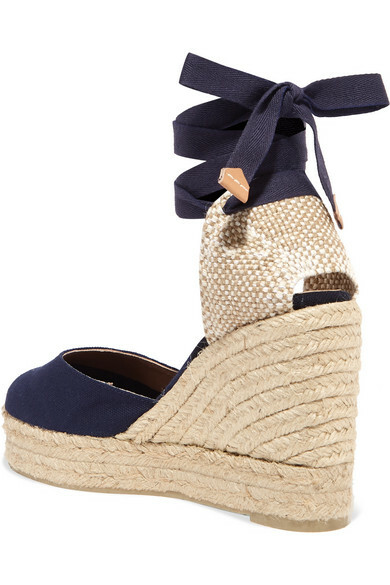 The 100mm jute wedge heel is perfect for balancing longer hemlines and adding a little extra height to petite frames. 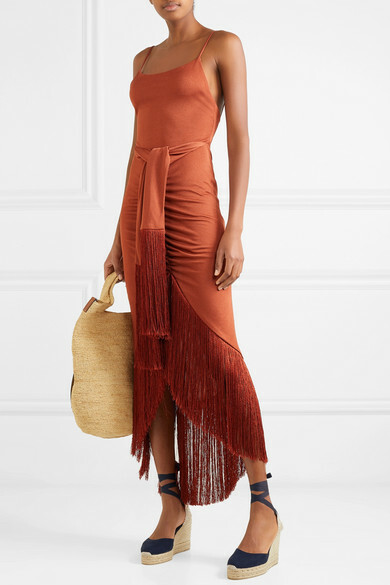 Shown here with: Cult Gaia Dress, Loewe Tote.